Fine, these are popular sites concerned with popular cinema. Yet these sites not only have huge readerships, their articles are also circulated around the internet via an ever-complex network of links. These can take the form of news aggregators, fan blogs, message boards, and other large-scale film sites. The problem is that these articles swamp the internet and circulate limited perspectives on film history. My concern is with how these sites deal with, question and write about film history. The short answer is that many of them do not write explicitly about film history. That in itself is quite telling of an apathy towards looking at older cinema and where today’s films have come from. Then there are history articles, but in many cases they seem limited in how far back they are prepared to go. I want to point out one article I came across entitled ‘The Greatest Five Seconds in Movie History’ which is just one of hundreds that could be discussed here. The title itself is similar to many others online that use attention-grabbing terms such as ‘The Greatest’, ‘In History’, and ‘All-Time’. It turns out that these five seconds are to be found in The Empire Strikes Back (1980) when Darth Vadar reveals to Luke Skywalker, ‘I am your father’. If The Empire Strikes Back were such an international hit, why would it only change America and not other parts of the world? This points to the dominating American perspective on cinema to be found on the internet, but this can also clearly be found in printed film histories. The ‘All-Time’ of the title is quickly discovered to be mere hyperbole. Instead we find a lack of perspective where the idea of All-Time hits the 1970s and stops abruptly. Empire Online is the online extension of the British magazine that I used to read when I was younger. I distinctly remember articles on The Godfather (1972), Scorsese and Star Wars. Its retrospective articles would often largely point to the 1970s and that seemed to be the limit of its memory. Needless to say may of its writers grew up during that period, which seemed to fuel the hyper coverage of the Star Wars films on re-release. But then again Empire is a magazine for the public and articles on older cinema do not sell. It also is manipulated by the industry: when five stars are awarded to the big Summer films, you can’t help but suspect that this is merely an extension of studio marketing. There are certain topics that sell well online: comic book films, superheros, video game adaptations, and movie lists (Top 10 Villains, Top 10 Explosions, etc.). These articles get hundreds, if not thousands, of hits a day and a continuous stream of comments. Maybe there is no room for articles on older cinema? But surely there are many viewers out there who want to know more about all kinds of cinema but just cannot find the resources to do so. So what are the alternatives? For starters I would head for Kristin Thompson and David Bordwell’s blog and stay subscribed. Renowned film scholars of works such as Classical Hollywood Cinema and Film History, theirs is perhaps the most insightful film writing online. Film history is so rich, vast and exciting that it can be frustrating when online writing only deals with a fraction of that period. I often wonder why there isn’t a greater urgency to find out more about what came before. Surely this would give viewers and writers a more mature understanding of the films they see today. Hey Raymond Burr. 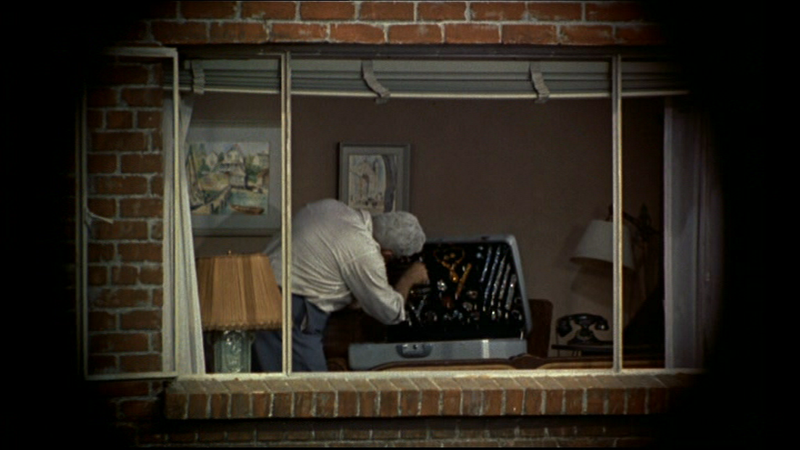 Rear Window!! !